A large bottle of Sweet Almond Oil arrived at the Cottage today. I’ve already taken liberty as Head Goddess around this place to liberally slather this lovely oil on my hair and skin to soak in all the good stuff. I feel and smell so good! 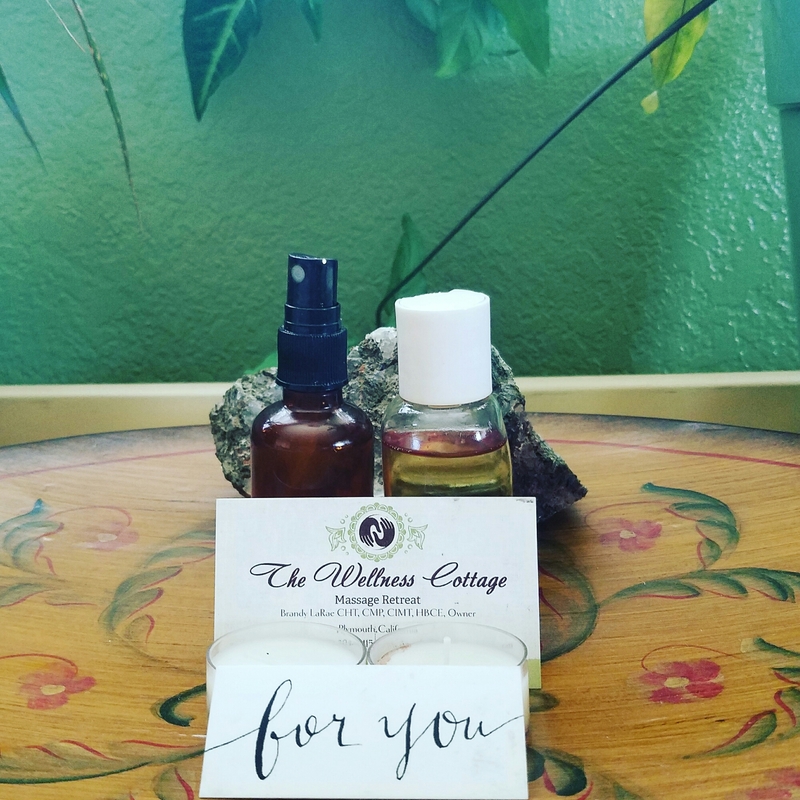 After I was done lavishing the oil on myself I filled a bottle for facial massage , created a Couples Massage Oil with doTerras Passion essential oil blend , as a welcome gift for this weekends airbnb guests, along with a roller bottle filled with almond oil plus 5 drops helichrysum essential oil for a client looking to sooth dark circles under her eyes. Almond oil is one of my favorite oils for facial massage, working well for all skin types and very gentle. It provides a lovely glide that slowly absorbs into the skin , leaving it supple and well moisturized, yet does not leave oily feeling for hours after. Perfect as a night cream alternative to reduce fine lines and dark eye circles. Almond oil is the best oil to use for infant care and massage. Despite many misconceptions Almonds are not a nut, but closely related to the peach, apricot, and cherry (classified as drupes). Unlike the others, however, the outer layer of the almond is not edible. The edible portion of the almond is the yummy , nutrition rish powerhouse of a seed. Sweet almond oil is an excellent massage oil valued for its viscosity and durability. Good for oily and easily irritated, sensitive skin prone to breakouts. Almond oil is an excellent alternative to harsh facial cleansers and make up removers. I dare you to follow your normal cleaning routine and follow up with Almond Oil. Apply in upwards, circular motions. Wipe off with a warm wash cloth. I bet you will see dirt you missed! Then reapply and let it soak in overnight to nourish the skin and plump up fine lines. Components: Fatty Acids: Oleic acid 71%,a similar chemical structure to our own natural sebum, so it is readily absorbed by the skin tissues. Linoleic acid 21%, anti-inflammatory properties, helping to calm and soothe a sensitive, irritated skin. Anti-Inflammatory – reduces inflammation topically and also when ingested. Anti-oxidant – Almond oil possesses mild antioxidant capacity. Immune Booster – Topical as well as internal application of sweet almond oil boosts immunity and provides robust protection from various diseases. Anti-hepatotoxic – Almond oil is known to aid the liver in eliminating toxins. This is also performed by castor oil. Emollient – excellent moisturizing properties. Excellent for chronically and excessively dry skin. Sclerosant – Used to treat vascular issues like spider veins, hemorrhoids and varicose veins. Laxative – promotes defecation and relieves constipation. This laxative action is mild as compared to stronger laxatives like castor oil. Muscle Relaxation – massage with almond oil soothes stressed and sore muscles. Cicatrizant – helps wounds heal faster. Sweet Almond oil is considered to be a good all-purpose carrier oil to keep on hand and is reasonably priced. So buy a bottle and spoil your skin or better yet, schedule a massage and allow me to pamper and nourish your body with sweet almond oil and soothing massage.